By allowing third party developers to incorporate 3D Touch in their handiwork, it gives users of the Apple Phone 6s and Apple iPhone 6s Plus the opportunity to use their favorite apps in a new way. Take Skype. An update to version 6.5 allows the app to support the new feature, which allows the screen to differentiate between a light tap, a normal touch, and a harder touch. With the updated version of Skype, users can lightly tap on the screen to get a peek at a conversation that has recently taken place. A harder press will "pop" you into the conversation. Pressing down will also allow you to engage in a video chat. If someone sends you information during the video such as a picture, location, contact information or a URL, you can press lightly to get a quick peek at the info. A harder press will bring it up on the screen. Even before you open the Skype app, 3D Touch comes into play when you touch the icon. Pressing hard on the Skype icon on your home screen will bring up a list of the most used features. That includes searching for contacts, accessing the dial pad, or starting a chat or call. Click on any of those selections and you will be taken to the appropriate location in an eyeblink. The update also adds filters for video messages, allowing you to play around with your image when chatting via video. You can also hide your chat history from the Recent list, or just delete it altogether. 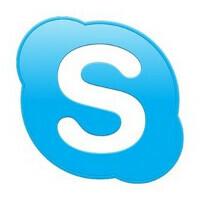 Skype version 6.5 allows you to share one of your Skype contacts. All you need to do is open your contact list, select a name, and click on the 'tick' icon. Do you find that 3D Touch improves your Skype experience? Let us know by dropping your comments in the box below. I thought it was going to be whack AF, but I'm obsessed by how easy, faster, and mostly fun everything is! Especially gaming! Try the game Circles Forever and let me know if you can get past a score of 15! Simple game that is soooo f****** hard using only Force Touch. Is this your way of getting people to download this "popup an ad every two second" game? But you can really see how 3D Touch registers different pressure. Had no clue there's so many levels. You can tell that on every app that has peek/pop like messaging. During the pre-peek phase the background blurs more the harder to depress. I can only get to 8 lol. My friend got 15 >. Well yea, it is a system wide user interaction available to all developers. If they did this with Touch ID it would also be everywhere and far better used than it is today in iOS. This is how you drive usage of a feature, you make it available as much as possible to the whole system. The only downside is that they might have limited Force Touch with their Peek and Pop/Context Menu scheme since that forces people to adopt that behavior for the sake of consistency. Only games have a free reign to try new things otherwise, in the UI at least, it is pretty much set in what it can be used for (or else it will just create unneeded complexity). All true points. Except for Touch ID it was more about security measures not to open it up vs inability to let developers use it. Although my bank app now uses Touch ID to sign in - which is HUGE!! given the password they force you to create when you set up online banking, ugh! This java script measures every 0.0025 from no pressure to full. Not bad. Someone talked about the s-pen measuring 1048 or 2084 or something points of pressure. I can measure about 50 just with my finger - no extra conductive pointers or accessories. Can't wait for that sun to be a gas pedal in my racing games. We keep waiting for xiaomi to utilize that force touch thing they "beat" Apple to announcing - but there's nothing. Yet iOS is embracing the thing like its the next best thing since touch screen. Meant hiway force touch thingy.